Tip of the Week: Are You at Risk Due to the IoT? The Internet of Things is now a commonality. IoT devices are in our homes, in our offices, and in our pockets. While these devices are incredibly convenient, they also contribute to some major security risks. For today’s tip, we’ll review some of the ways to reduce these risks while still leveraging the IoT. Does it Need to Be Connected? The first consideration you need to make is whether or not connecting a particular item will be a big enough benefit to be worth the inherent risks. Depending on the device, an Internet of Things item could be used to spy on you, steal your data, and track your whereabouts. If the device in question directly offers you a helpful, worthwhile utility, it may be worth the risk. If the connected device serves little purpose beyond its novelty, or its purpose could just as easily be managed by a staff member, it is probably best to leave it disconnected. Are You as Secure as You Could Be? You should also make sure that the environment that you are using an IoT device in is as secure as possible. Making sure that your firmware is updated will ensure that you have the latest security patches and fixes for the various exploits and vulnerabilities that the IoT may present. If possible, this process should be automated so that your IoT devices, as well as your router, are fully updated. It may also be a good idea to check if your router supports guest networking. With guest networking, you can keep potentially risky IoT devices off of your main business network, protecting its contents. Finally, you should always make sure that your passwords are in line with best practices, and that you are not reusing passwords between devices and accounts. Following these guidelines means that even if one of your accounts is comprised, the rest of your accounts are safe behind different credentials. Are Your Devices Properly Monitored and Managed? 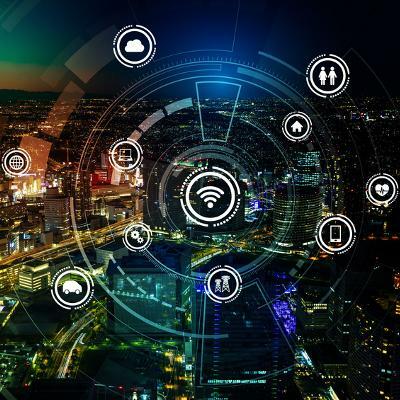 Ultimately, the best way to keep your company safe from IoT issues is to establish rules regarding the use of these devices and monitor their permissions. Extending the consideration of whether or not a device needs to be connected, you need to establish if it even needs to be in the office. After all, a smartwatch can offer some business utility, whereas a smart salt dispenser (which does in fact exist) does not. Monitoring your network can help you identify if any unapproved devices have made a connection. White Mountain IT Services can help. Call 603-889-0800 to learn more.